You never have to miss a call just because you’re away from your phone. When your phone rings, you can answer the call with Galaxy Gear, and also you can make a call with the sound of your voice. The built-in speaker makes possible to talk while doing other things. You no longer have to have one hand free to have a phone conversation. Be a powerful communicator without any restriction. 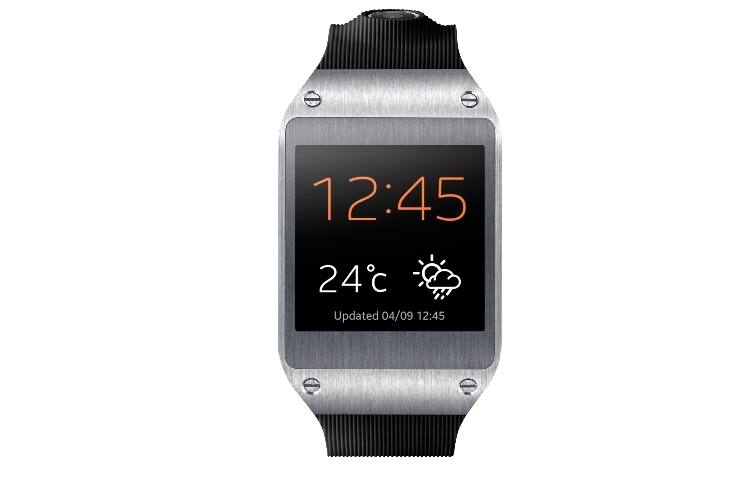 The high quality metallic wrist of GALAXY Gear comfortably wraps around your hand. With easy reach, you are able to check several features, including time, messages, music control and so on through the square-shaped touch screen on your watch. Various colour choices offer you the joy of matching it with your style. The exquisite GALAXY Gear is made with stainless steel materials on the border of the square which conveys a luxurious look. You can control incoming phone calls by speaking to your watch without having to take out your phone. Once you activate the S Voice by double pressing, you can run several features by giving verbal commands without touching the screen. A mobile made easy on your wrist everywhere you go.